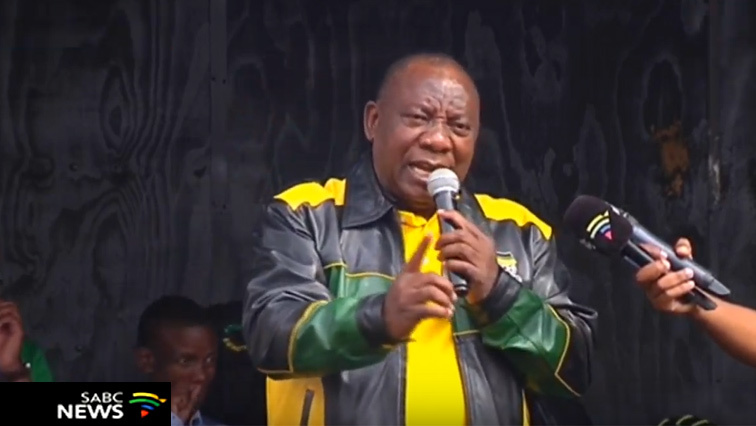 Ramaphosa to embark on campaign trail in Nelson Mandela Bay - SABC News - Breaking news, special reports, world, business, sport coverage of all South African current events. Africa's news leader. Ramaphosa will visit a number of other areas in Nelson Mandela Bay. ANC President Cyril Ramaphosa will embark on a campaign trail in the Nelson Mandela Bay Metro which includes Port Elizabeth on Sunday. With only a few weeks left until the sixth democratic election, all parties that have entered the national and provincial elections have been criss-crossing the country on campaign trails. Ramaphosa will start his campaign trail in Ward 38, an area that has over the past years been plagued by gang violence. Thereafter, he will visit a number of other areas in Nelson Mandela Bay. His campaign will consist of door-to-door visits and community meetings. Ramaphosa is one of many politicians that have visited the Eastern Cape over the past few weeks. Meanwhile, on Saturday the president campaigned for the ANC in Swaneville on Gauteng’s West Rand. He said the calls for infrastructure development and economic inclusion from residents he interacted with, will continue to be tackled when his party returns to power after the May 8 election.